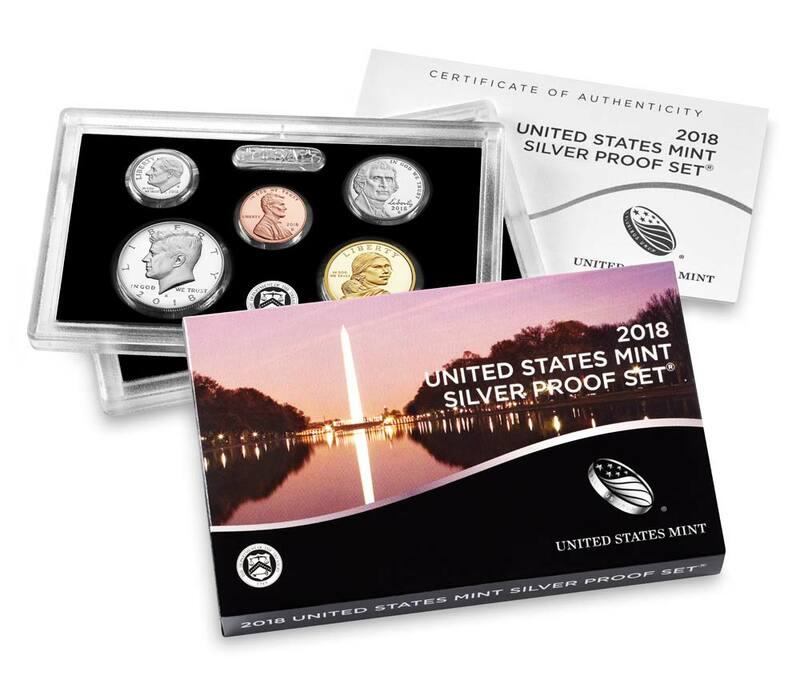 WASHINGTON –The 2018 United States Mint Silver Proof Set® (product code 18RH) will be available for purchase starting on April 24 at noon Eastern Time (ET). Five silver America the Beautiful Quarters® Program coins honoring Pictured Rocks National Lakeshore (Michigan), Apostle Islands National Lakeshore (Wisconsin), Voyageurs National Park (Minnesota), Cumberland Island National Seashore (Georgia), and Block Island National Wildlife Refuge (Rhode Island). The quarters, half dollar, and dime contain 90 percent silver. Each 10-coin set comes with the Mint’s Certificate of Authenticity. The United States Mint Silver Proof Set is also available for purchase through the Mint’s Product Enrollment Program. Visit https://catalog.usmint.gov/shop/product-enrollments/ for information about this convenient ordering option. The Mint accepts orders at catalog.usmint.gov/ and 1-800-USA-MINT (872-6468). Hearing- and speech-impaired customers with TTY equipment may order at 1-888-321-MINT. Visit us online at catalog.usmint.gov/customer-service/shipping.html for information about shipping options.